So, we really love Doktor A, and we really love Chet Zar over here at Stranger Factory, so our hearts are exploding with anticipation for their two person show, Oddfellows, opening in less than a week! Both of them come from diverse professional backgrounds in film, television, music and design, and their uniquely beautiful personal work is sought after by collectors worldwide. This time, we turned to our friendly forum elf helpers, to crowdsource some interview questions for Doktor A and Chet Zar. Read on to learn more about their collaboration, their processes, how they met and more! CP: How did your collaboration come about? When did you first find out about each other’s work and how did you meet? DOKTOR A: I can’t actually recall where I first heard about Chet and his work. I think it was probably Juxtapoz magazine, around 2006. I know I was annoyed I couldn’t get to his Ugly American show at the Strychnin gallery in London 2008, but I purchased a programme which I pored over for ages. We were both in the Noxious Fumes show at Rivet in October of 2008 as well, and that was a big thrill for me. It was a gas mask themed show, which was great fun. I actually ended up purchasing two of Chet’s paintings from that show. 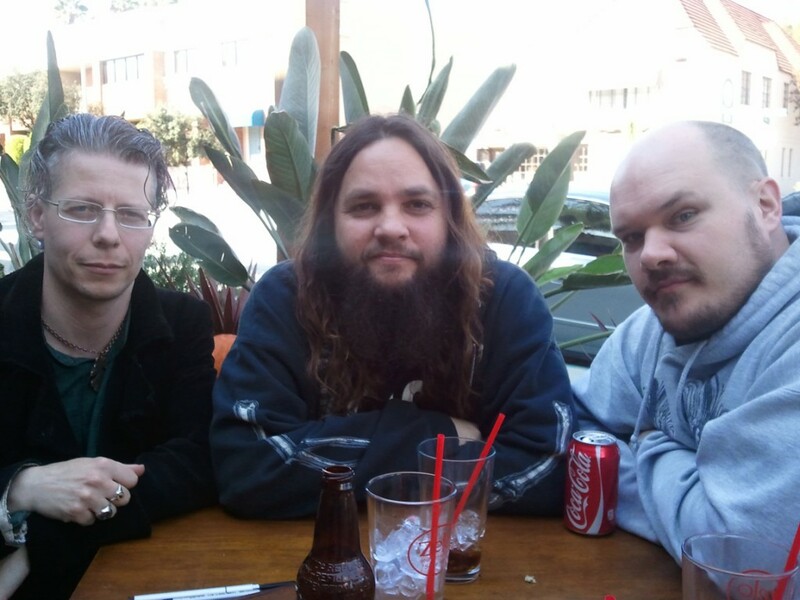 When I was in L.A for Designer Con in 2011, I got to meet Chet via our mutual friend and talented sculptor Neil Winn. We had some splendid pizza, and Chet suggested we should work together on something. When the idea for a two man show came about, we spent a few months emailing sketches of ideas for a collaborative piece back and forth until we came up with something we both liked, was balanced well and would be able to be built modularly as we couldn’t be in the same place at the same time to work on it. I did my parts first and shipped them to Chet who then sculpted his magic around them. CHET ZAR: I think I first heard about Doktor A from Guillermo del Toro. He is a big collector of both our works, I believe. And it is true- Neil Winn introduced us. He is a great guy and a talented artist. We had lunch at my favorite local pizza joint, Zelo (cornmeal crust gourmet pizza!). After one lunch, it felt like we had been friends for years! A collaboration seemed like the natural thing to do. I think this collaboration might be the best I have ever participated in. CP(via jaysea420): What are the major influences in your life that you feel first determined your direction? We’re especially interested in influences that date back to childhood…favorite books, artists, television shows, music, etc. DOKTOR A: Oh, many and varied! H.P.Lovecraft is never far away. I grew up in the 1970’s on a steady diet of Doctor Who and Ray Harryhausen; they were probably what started it. The first thing I remember sculpting(when I was maybe five) was a Zygon from Dr. Who in terracotta coloured Plasticene. Then , there were the likes of Brian Froud and Edward Gorey. H.R. Giger and Tolkien. Vivian Stanshall and Guillermo DelToro. It’s all in a big melting pot. CHET ZAR: B horror and sci fi movies, horror comics, Heavy Metal magazine from the 70’s, Giger, Beksinski, Frazetta…it’s a long list that could go on forever. CP(via dinkycow): Are you a planner? Do you sketch out every detail of a character before you begin or do you just begin creating and let your work evolve as you go? DOKTOR A: My characters are generated in one of three ways. Sometimes, I come up with the written biography of the character and then work out what they look like in rough sketches or ink drawings and then build them. Or, I sketch a character and then start to piece together the physical sculpture, all the time altering and refining – at this stage, the personality of the piece starts determining their story. Or, I find a particular item or piece of junk which inspires the whole creation, look, story and all. CHET ZAR: I am primarily intuitive with my work. I plan things out a bit, but it’s not about logic for me. It just needs to fit my aesthetic. My main criteria is that it is fun to paint and something that I would like to look at. I usually create small studies in oil, sometimes in Photoshop first, and then base the larger piece upon that, always leaving room for a piece to develop during its creation. CP (via dinkycow): You could pick any place to show your work, with a group of artists (dead or alive) of your choosing in any time period– where, who, when? DOKTOR A: I am honoured and happy to be showing now and with the awesome peer group I find myself in. It’s exciting times for art. Boundaries are coming down. People are re-claiming art from those who want to cloister it and make it elite. 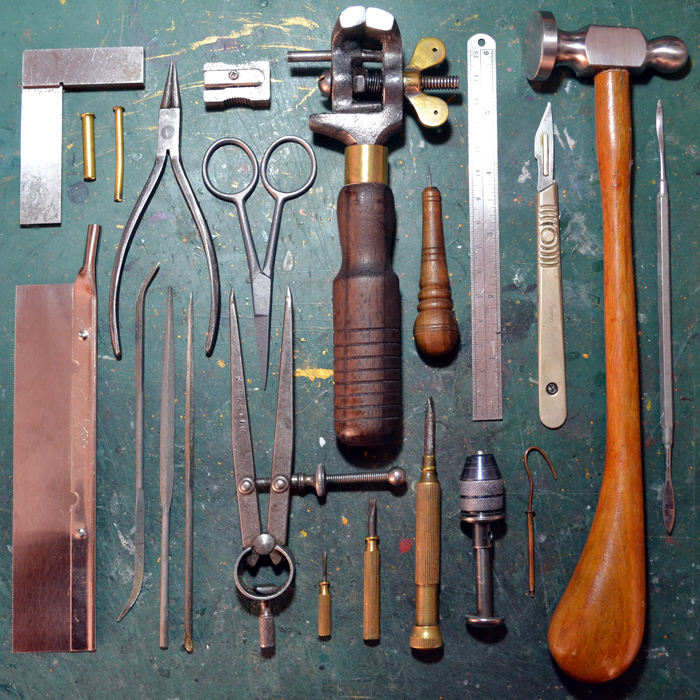 Craftsmanship is once again being prized. Its refreshing and exciting. 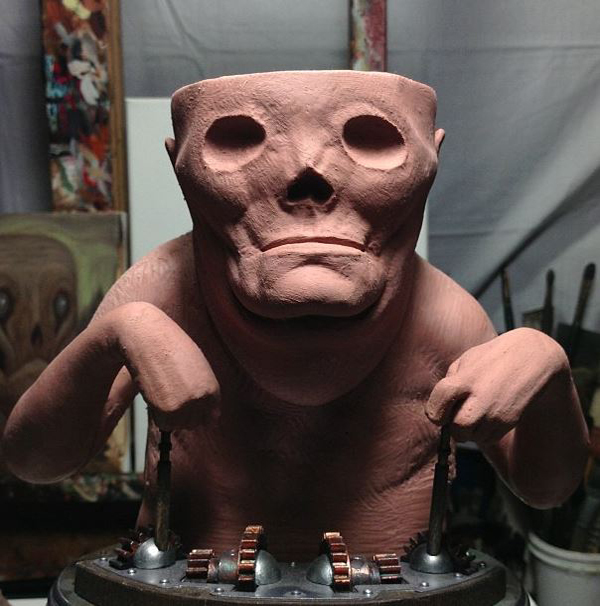 CHET ZAR: I agree with Dok A – I think today has some of the coolest galleries, artists and opportunities. CP(via Brad): What are your top three sci fi films? Top three horror films? DOKTOR A: This is Brad’s question, isn’t it? (ed note: yeeep.) He asked me this months ago and it has been eating away at me ever since . I love sci-fi films but just picking three is torture. First would be “Quatermass and the Pit,” for sure. Although in my mind, a lot of the material from the original BBC mini series works its way into my memory of the film. I think they both have their strong points and the meld of the two gives me my experience of Mr. Kneale’s seminal work. Second, is probably “Forbidden Planet” It’s such a beautiful, perfect, smart movie which is ageless. It also seems to hint at the same themes that Lovecraft was writing about. (Actually Quatermass and the Pit does too).. which is a recurring thread in things I find of interest. The third choice is where I get stuck. It would be too obvious to say Blade Runner or Alien or some-such (I never really got on with the Star Wars films and consider them to be fantasy films rather than sci-fi anyway). I love Ridley Scott’s films of course – yes, even Prometheus – but think I would probably finally settle for something like Inception or Children of Men over them…though I still can’t bring myself to choose. Horror films I enjoy, but don’t go crazy about. I prefer a good ghost story to an out and out gory horror. Things like “The Haunting” or “Dead of Night” are more my cup of tea. I think “The Stone Tape” is probably the most terrifying thing I have ever watched (Nigel Kneale again). I love “The Mist”; stuff that’s bleak is good. And I also enjoy the early Amicus and Hammer era movies. “The Abominable Doctor Phibes” films and “The Asphyx” are regularly watched in my house. CHET ZAR: I think we are opposite in that way. I am more of a horror guy but I do love sci-fi as well. For sci-fi, Alien is up there, The Matrix, The Thing…I like a lot of the old cheesy stuff from the 50’s and 60’s as well. For horror, the original Night of the Living Dead was a big one for me. The original Dawn of the Dead and The Exorcist are also up there. CP(via jaysea420): Where do you see this toy-art scene going; how do you think it can be improved? DOKTOR A: I think its shrinking in size and becoming more grass roots. More people self producing, less larger companies. Its never going to be a place for anyone to make any serious money so it naturally excludes large corporations. They may steal the odd piece is imagery once in a while but they have no place here. You can see in the way that any toy company of any size ( Toy2R, Kidrobot) eventually moves into licensed products as that is where the large sales numbers are. I see more resin and rapid prototyping by individuals selling direct to collectors. CHET ZAR: I am kind of out of the loop as far as toys go. I think my stuff would make great toys, but I haven’t really had the opportunity yet. I hope this collaboration that Doktor A and I have created will help change that. 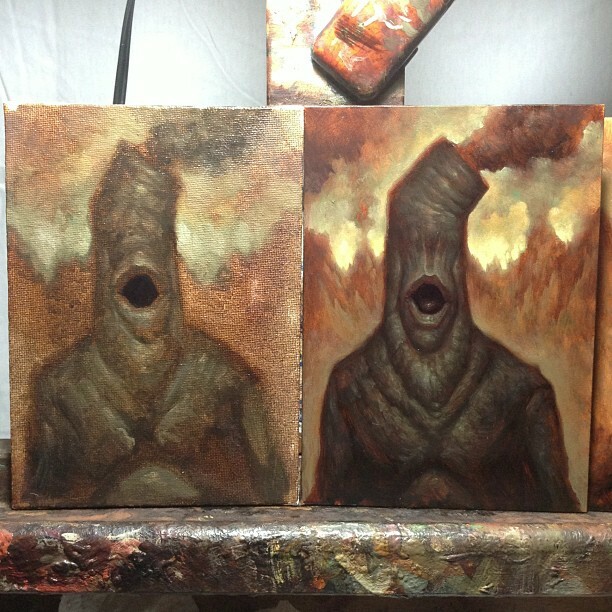 Chet Zar and Doktor A’s Oddfellows opens at Stranger Factory on May 3rd with a reception from 6-9pm. Chet Zar will be present.